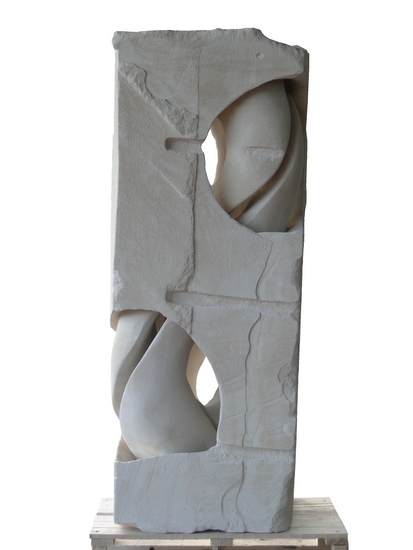 The result of almost 5 months of work, in French Sandstone. The 2 Rings are both split over 360 degrees resulting in 2 rings in the top and 2 in the bottom. One of the top rings is connected to one of the bottom rings,.. resulting in a knotted chain. The only way to see this is walking around and looking inside,.